Happy Friday! Last night was Fashion's Night Out all over the world and although I wish I was in New York I was glad that San Diego put on a good show. 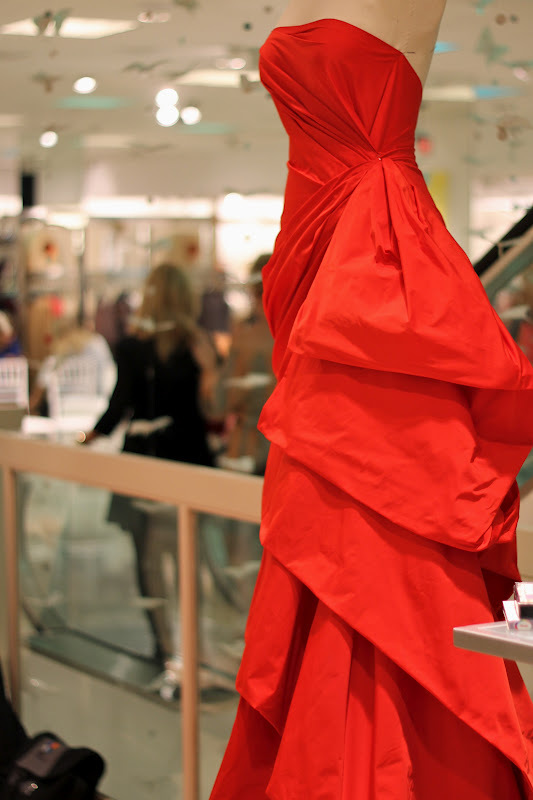 Fashion's Night Out was created in 2009 in New York at a time when we were deep in the recession and in an effort to boost retail sales Vogue, The CFDA & co. created a fun night out that encourages what else? shopping! 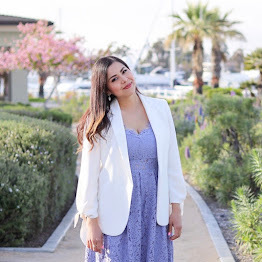 My fellow blogger Rachel and I headed over to Fashion Valley for a fashion show at the mall, then the continued festivities inside Neiman Marcus. 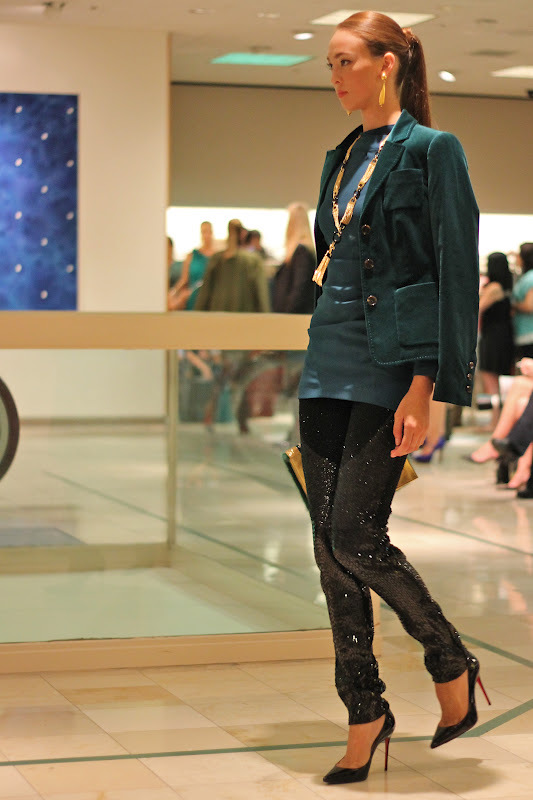 Here are pics of my Outfit, then the familiar faces and then my favorites from the fashion shows. With the lovely Adriana from San Diego Magazine! And now for the clothes!! Here are my faves! Looks like a fun night!I love the shoes! 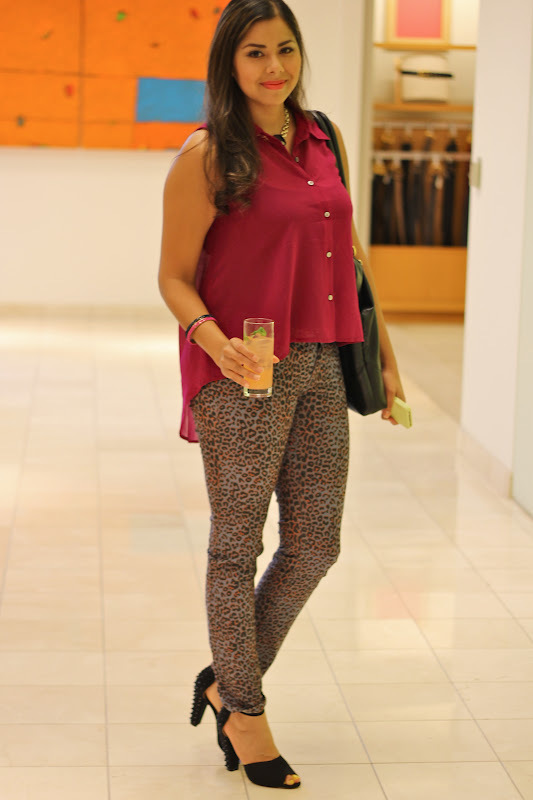 Dang, you did an awesome job playing up the pink tones in the leopard pants when pairing with the top. Looking chic! Love what you wore! Glad we were both out on FNO. Yay!!!! I really loved that berry top you were wearing. It complemented your skin tone gorgeously! We have so much fun together, don't we? 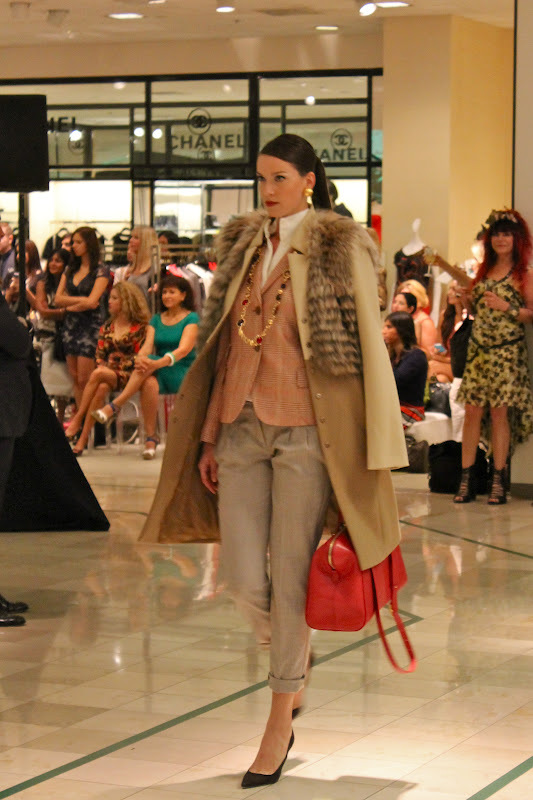 ;) Last night was such a blast, and what a fabulous job you did on these runway photos! What a great outfit! I just love the combination of berry and leopard! You look great! Those shoes are fab ! your outfit is adorable! i wanted to go to fno so bad but sadly i wasn't able to :( oh well i look forward to seeing you at sd fashion week! ooh gorgeous. that mix of berry and leopard definitely works beautifully. Seems like a fun night. I love your shoes, and the top with printed bottoms! LOVE your outfit girl! berry and leopard go so well together! i love those pants!! i wish i had the guts to pull them off. 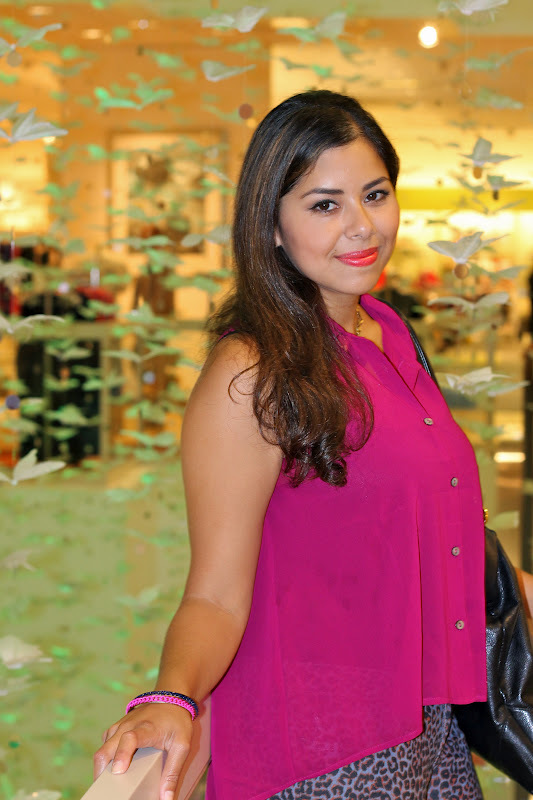 i was totally miserable all weekend because i wasn't at fno ny! i'm in san diego too! i wish i would have researched a little so i knew about fashion valley! that seems like a blast! You look gorgeous in that blouse! I can't get enough of those shoes - they're fabulous! Hope you had a blast! I love the leopard and berry combo. You looked fabulous!! I'm buying those shoes right now!! 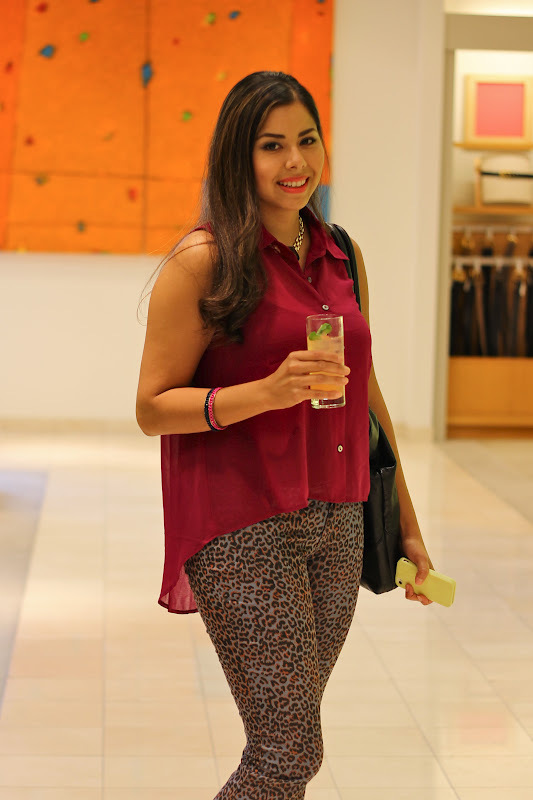 Love your look and this post!